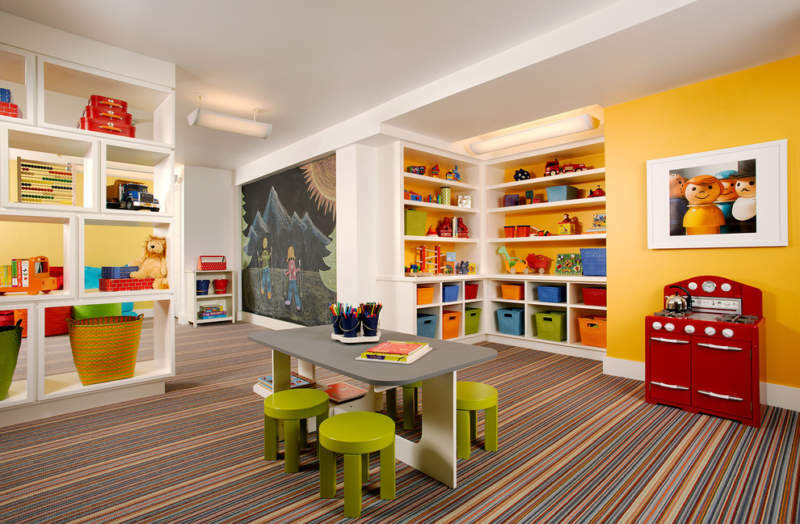 Organizing a children’s room can be quite a daunting task. Especially when your children have more toys than your storage space. The best solution to avoid storage problems is to divide the toys according to their type and size. You can place the same type of toy in the same storage container according to its size. 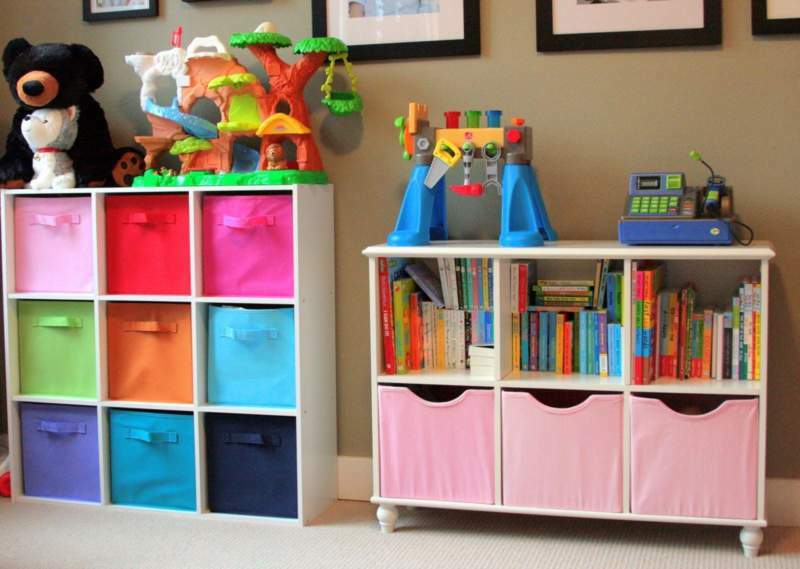 After you know how to organize children’s toys, it’s time to choose the right storage for storing children’s toys. You can choose the type of rack, cabinet or other container. 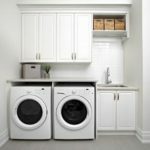 Luckily for you, we have found 25+ amazing storage and organizing ideas that you can complete in a short time. Bunk beds have been part of a kid’s room for a long time. You can use it as a place to store children’s toys. You only need to make a few shelves on the bunk bed. Teach your children to store their toys neatly there. Arranging toys may be a hard job for a child. 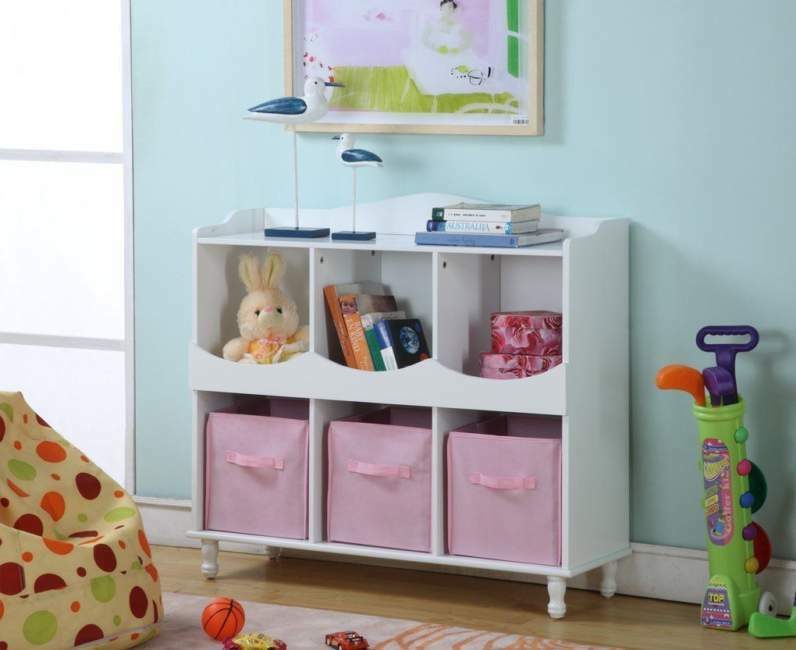 But with toy storage devices like this, children will be able to organize their toys easily. So parents will not be difficult to arrange a messy toy. Black and white is the theme for the children’s room above. Therefore we can make storage that matches the black and white theme. The storage area there is made in white with a black storage container. Both are very harmonious and look good with the room. Making toy storage is important, but it doesn’t have to be difficult and expensive. You can make storage of toys made with fabric material. You can imitate the idea of a toy storage container like this pink fabric. Although it looks very simple but very useful. The bed was only used to sleep, but now it’s not. 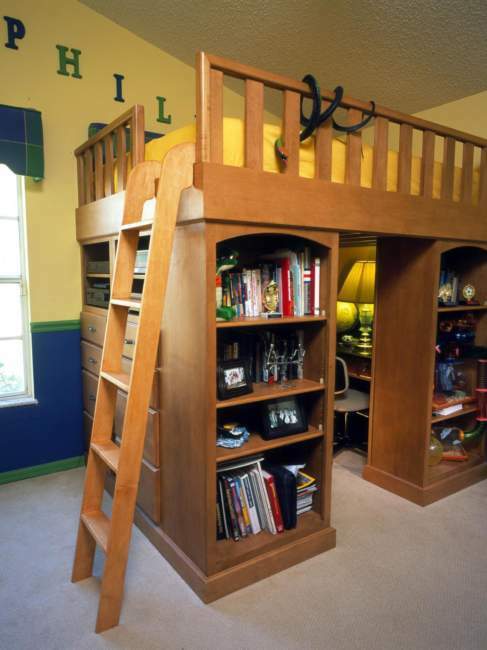 Beds can also be used to store children’s toys. You only need to make a shelf under the bed. You can store lots of toys there. 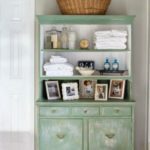 Shelf is a storage furniture that is commonly made to store various items. So the shelf is also suitable for storing toys that are in your kid’s room. You can make a shelf that is not too high, so that your child can store the toy easily. 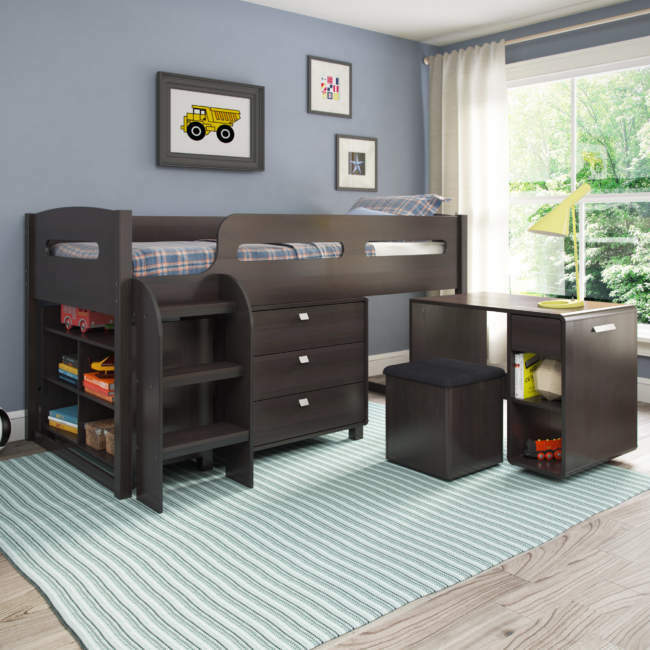 High bunk beds can be good furniture for a kid’s room. Because we can use the bottom and sides. We can use the bottom as a room to store toys. While we can use the side part to store books and toys. Everything works well and has many benefits. 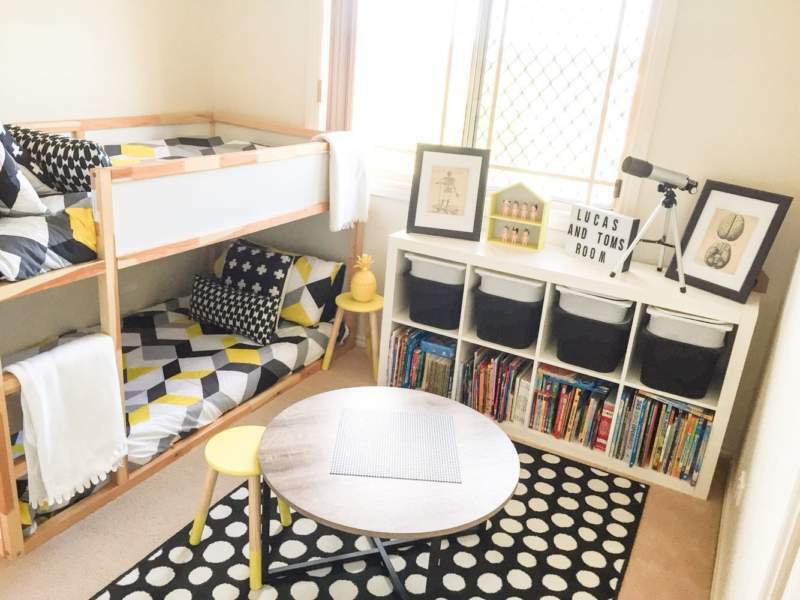 Urban-style storage racks are perfect for large kid’s room. Many parts that you can use to store more toys. 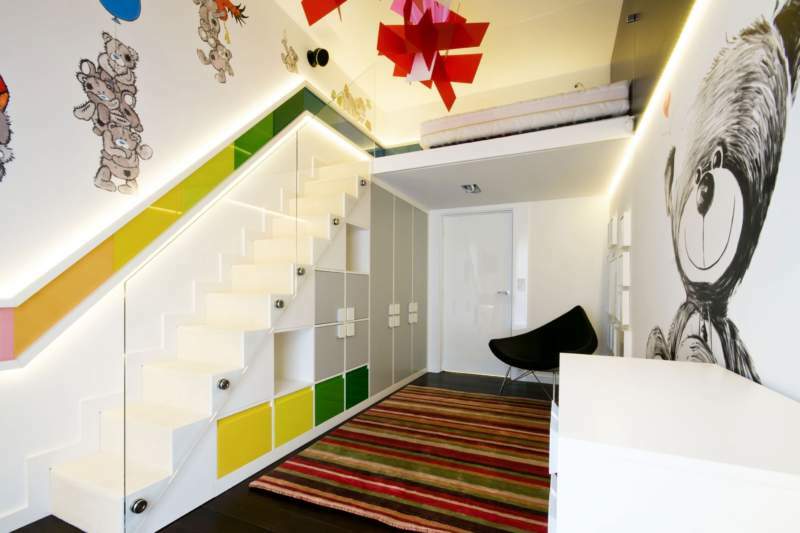 You can even make the shelf as a storage space under the stairs. You can try making toy storage like the example above. Do you have a lot of unused wooden boxes in your house? 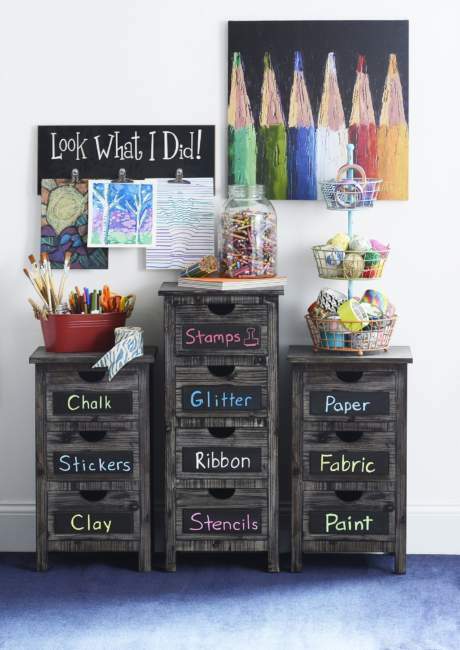 You can use it as a toy rack or bookshelf. You don’t need to equalize the size of the box, just arrange it neatly. Even if the size of the box is not the same it looks better. Keeping toys in a cabinet might be a good idea, but most cabinets are hard to see. Choose a cabinet that has a glass door, so you can see the items inside. Toys that children can see will be easily taken and after they finish playing, the toys can be put back in place. The wall is the only area that is not useful if it is not utilized. 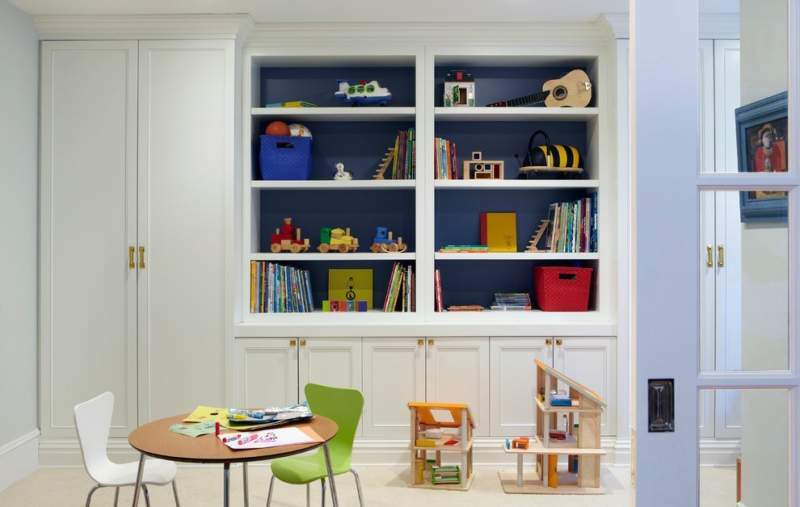 You can build a toy storage shelf in the children’s room wall. You can make several storage shelf that are durable and easy to reach. So your child will be easy to put back their toys without help from others. If you have young children, you can make a small toy shelves to store their toys. Build two shelves and a reading nook between the two small shelves. Your child will be easy to read the book they likes in this reading nook. They will take the book and return it to its place if it’s finished easily. 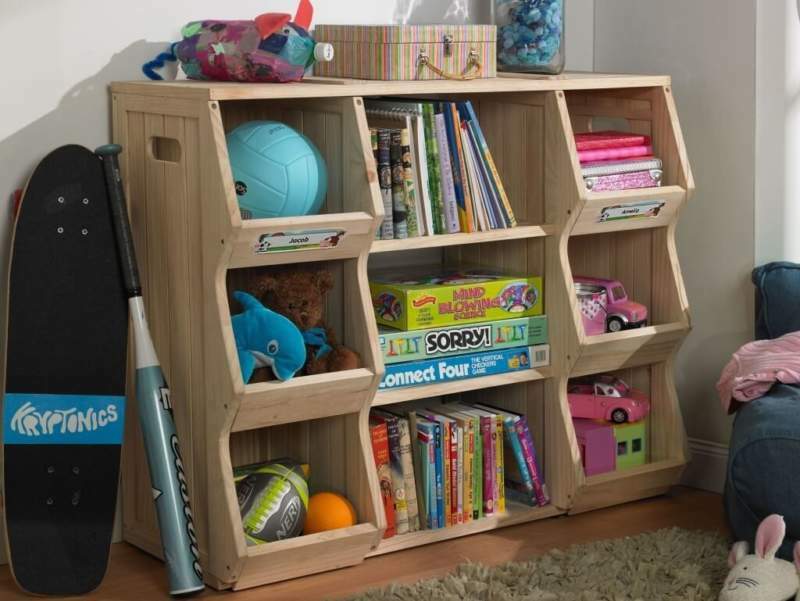 Wood is a material that is strong enough to make toy storage racks. Many toy racks made with wood. For example, the toy rack above. The design is very minimalist but looks good and strong. All children will love to draw and paint. The problem is how they tidy up their drawing and painting tools. They often ignore it or not store it carefully. Now, with a storage rack like this, you don’t have to bother thinking of drawing and painting tools scattered on the floor. Utilizing a storage rack in the attic room is definitely a good idea. 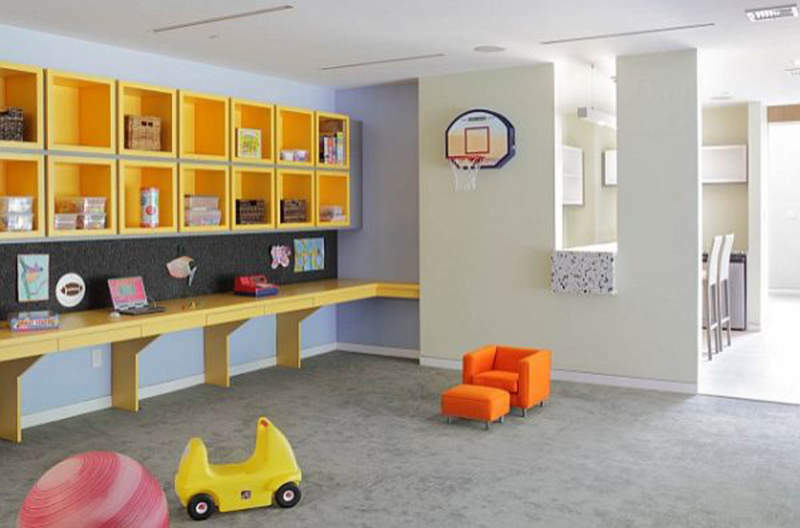 In addition to utilizing unused space, the rack can also store your child’s toys. So when a child plays in an attic room, you don’t need to tell them to bring their toy to his room. Simply put on the shelf in the attic room. Going back to the classic might not be too bad. Making a shelf that has a classic model and looks old-fashioned is also not a problem. As long as the shelf can make the toy neatly organized, why not? It doesn’t matter what the model is, as long as it’s useful, it’s fine. Asking a child to store his toy neatly may be difficult. 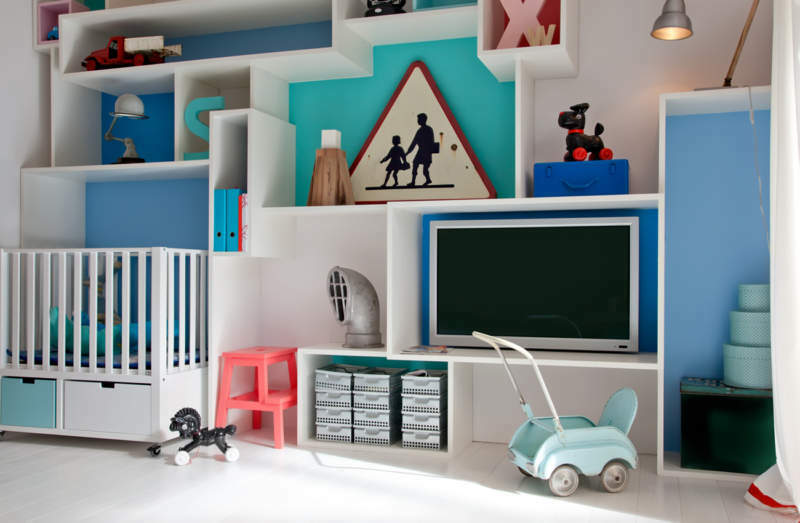 But by making a colorful shelf that might make your child want to keep the toy neatly. You can also add a larger storage rack under the bed. 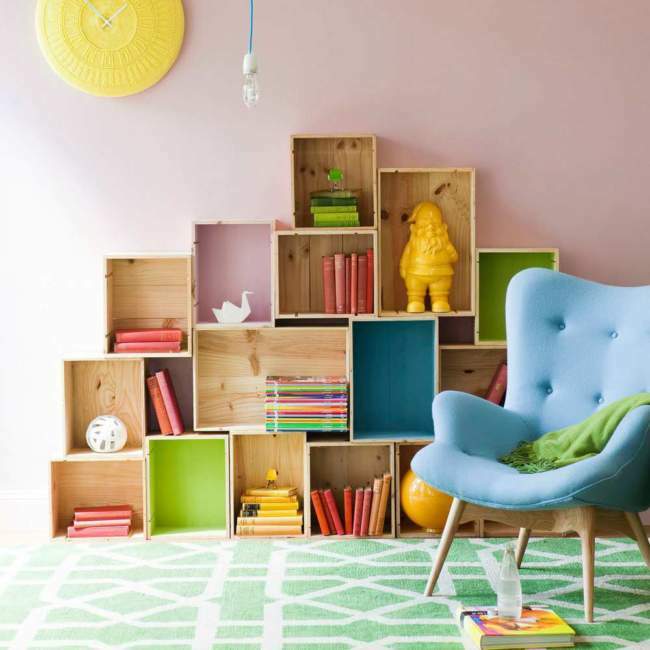 Contemporary shelf designs like this are suitable for contemporary children’s spaces. The shelves look harmonious, nothing striking or seemingly unsuitable. The storage function is also maximized with lots of storage space. The corner of the room is often unused. Actually you can use the corner of the room to be more useful. You can make a toy storage rack that is simple but works optimally. The more toys you have, the more toys you need. 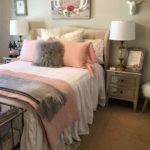 The problem is what if the room you have isn’t too big? You can place furniture that has a dual function. 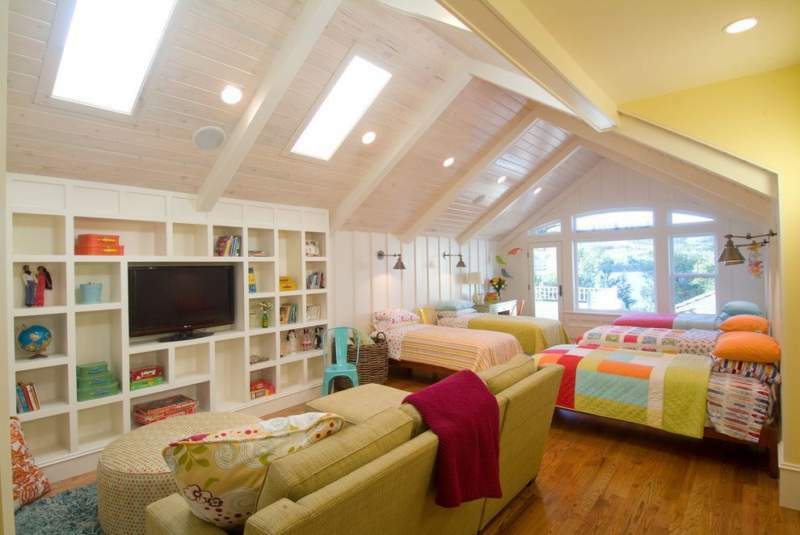 Then you need bunk beds and shelves like the picture above. Making storage of toys doesn’t need to be difficult and expensive. You can use furniture that is already in your house. Just put a few baskets, a cabinet, a small table and some things you need. 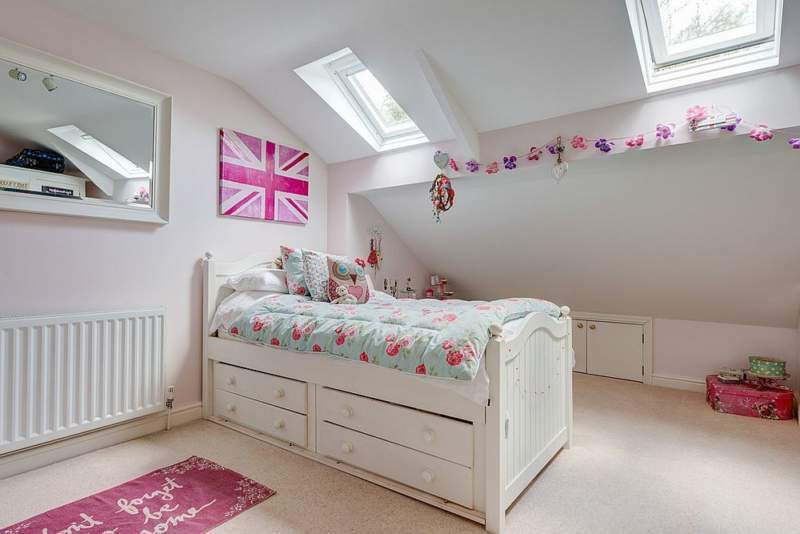 So you and children have no trouble arranging their rooms neatly at all times. 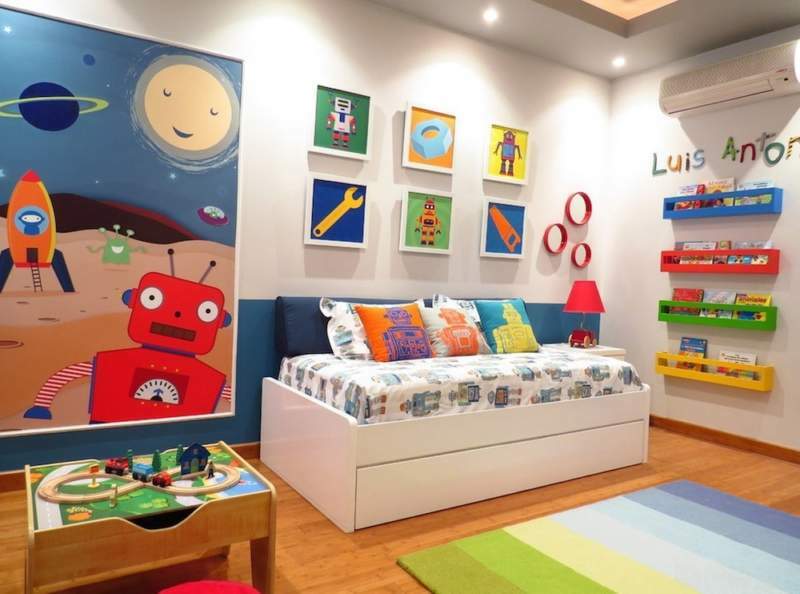 One of the wishes of parents is to see their child’s room always neat. While the child’s desire is to see his room full of toys. Then how do you make your kid’s room full of toys but still look neat? 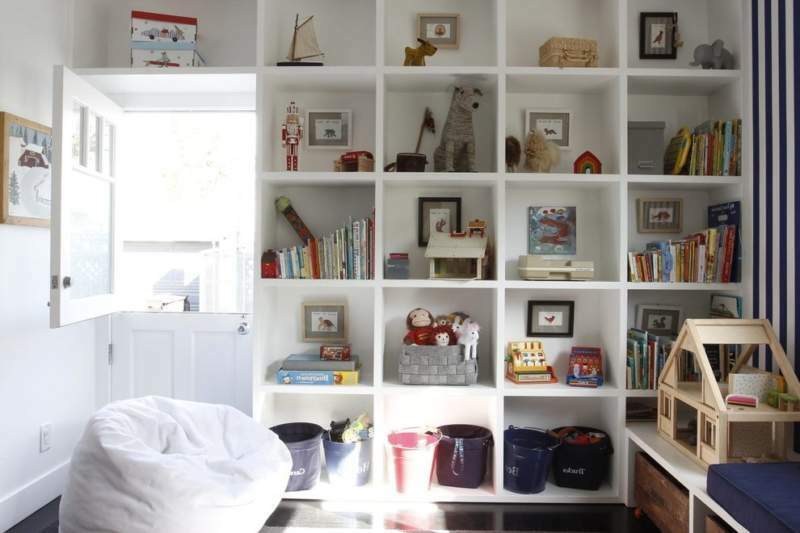 You can make a child’s room with storage space like this. Limited space is an obstacle to storing lots of toys. But don’t worry, you can make some hidden toy storage. 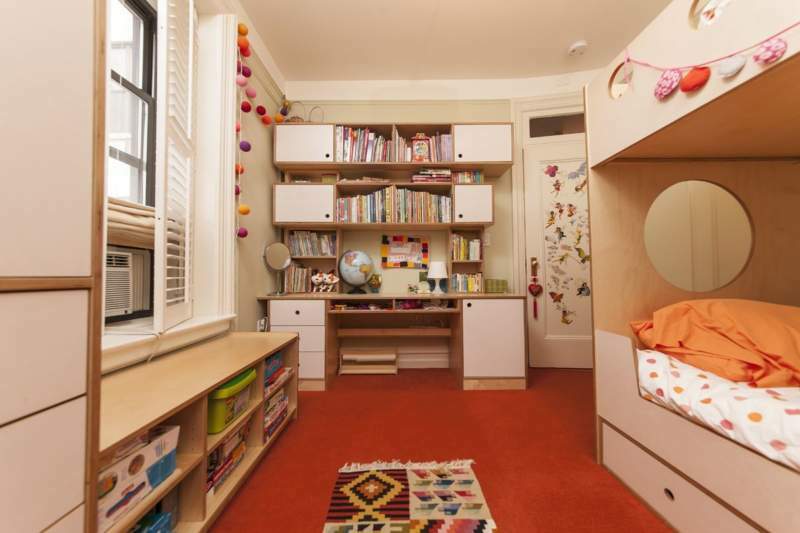 There children can store toys without making the room narrow. 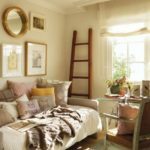 If necessary, we can make headboards with storage racks to save more space. 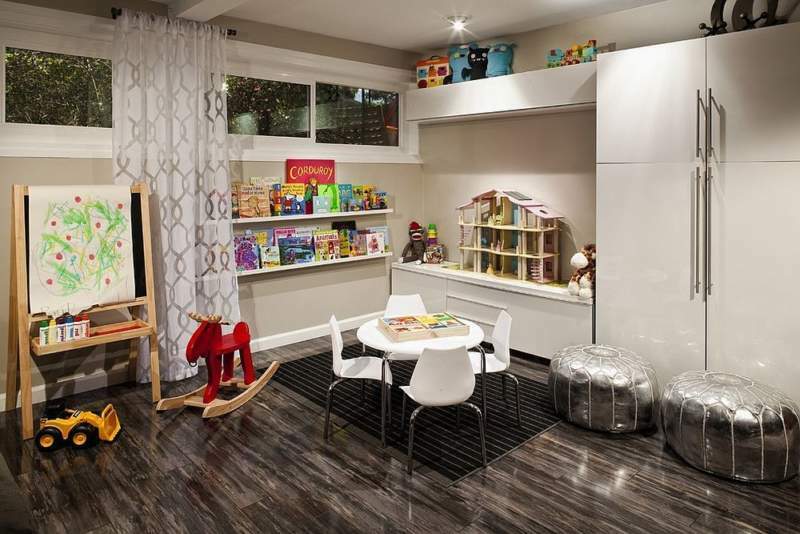 Toy storage space is not limited to the old style, but also a modern minimalist style. We can see one example of a modern toy storage like the picture above. The shelf arrangement looks good and the design is minimalist. This storage design is perfect for a minimalist modern style home. The toy storage rack shown in the picture above is very neat and nice. The rack combines two parts, an open shelf and a closed cabinet, there is a low cabinet and a high cabinet. Both storage looks very suitable and has its own function.